Just because the above are the 10 most common mistakes in English does not necessarily mean they are YOUR personal 10 most common. Here are more "most common mistakes" pages. Can you identify yours? You can't really work on fixing them until you know what they are. This is another of those "meta-learning" projects like reflecting on and writing about learning process. I'm sure there are more, but this should be enough to get you started. I'd like to find or develop (if I can't find any) resources on syntax (word order & sentence structure) mistakes and other interference problems. "Interference" means how what you are used in your native language interferes with learning and using different language patterns. Then we will work together to find and publish handouts and exercises for every "most common" mistake you send. By the way, "we" means that I won't be doing ALL the looking for online study and practice materials. Here are more articles on the fires in Greece. This touches all of us. Greece is part of our world heritage. Today's news shows that Olympia has been spared. I was glad to hear of volunteers from other countries helping but wish the southwest states would send smokejumpers and equipment. Rain would help. Arson is suspected. Tragic and unforgivable but, unfortunately, many of the worst wildfires here have also been due to arson. Carelessness is high on the list too. Nicole Itano, The Christian Science Monitor, writes: "On Sunday, at least 51 people were confirmed dead in the worst series of fires to hit Greece in decades. And still fires, many of them blamed on arsonists, continued to spread across the country, fanned by gale-force winds and fed by vegetation dried out from long months of drought." My japanese name is 中島 Nakashima (center of the island) 亜門 Amon (asian gates). Once again - please post more. You can write original posts with questions and ideas you would like the class to discuss. I also expect you to respond to one another's posts, introductions and comments. Please DO NOT TELL ME YOU DON'T HAVE TIME! How long does it take to write 1-2 sentences responding to someone's post or to ask a question? If you truly do not have time, then you also do not have time to be in this class. If you start a post, please publish it. Don't leave it in Drafts and then forget about it. If you do, it does not really count as writing a blog entry. Besides, I may just come along and publish it for you. I just did that for Gusa and Phan Minh Tri. I just set up a new poll. Please take it. The other one is still up but now further down the page. If you have not taken that poll, please be sure to take it too. 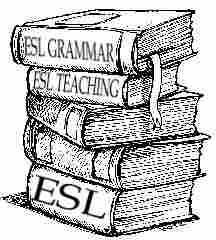 Many ESL learners complain that they understand English, but don't feel confident enough to join a conversation. Here is a collection of speaking strategies, lesson plans, suggestion pages and more which will help you improve English speaking skills. to vote "how long have you studied english?" I would like to vote for "how long have you studied english" but I don't know how to do that. Please advice. Verbs such as 'have', 'get', 'put', etc. combine to make common English idioms and expressions. Each idiom or expression has a definition and two example sentences to help understanding of these common idiomatic expressions with the following nouns and verbs. People in Viet nam usually call each other Yen or Hong (the first name) – this way, we can distinguish between them. (Minh Tri, your comment above is not correct. At the very least, you are oversimplifying, which is also incorrect. We call people we know by their FIRST names which come first. People we do not know well, we address by the last name PLUS a title or polite form of address such as Dr Jones, Professor Billings, Miss Jefferson, etc. I assure you I have NEVER in my life called someone by just his or her last name, although I understand this is sometimes the practice in some places. People in my generation consider it VERY rude when someone we do not know addresses us by our first name without our permission. The younger generation tends to be more informal about using first names.